A number of press reports suggest that PrivatBank (Dnipropetrovsk), the largest commercial bank in Ukraine, has decided to initiate arbitration proceedings against Russia in order to protect the investment that the bank allegedly lost due to the 2014 annexation of Crimea by the Russian Federation. PrivatBank jointly with Finilon finance company has initiated arbitration proceedings against the Russian Federation for the protection of the investment lost in Crimea. An arbitration court has been formed and will carry out the proceedings in accordance with the Arbitration Rules of the United Nations Commission on International Trade Law (UNCITRAL). The Bank also said that the proceedings will take place in the The Hague, Netherlands. PrivatBank is led by Ihor Kolomoisky, a Ukrainian oligarch. There have been allegations that Kolomoisky provided funds to anti-separatist militias in eastern Ukraine. Kolomisky was removed from the post of Governor of the key industrial region of Dnipropetrovsk in March, 2015 after some armed men, associated with him, occupied the offices of a state owned oil firm in Kiev. Kolomoisky had stopped the bank’s operations in Crimea from March and his remaining Crimea-based assets were to be nationalized and put for public auction. Kolomoisky once called Putin a “schizophrenic shorty” and “totally out of touch, completely crazy”. 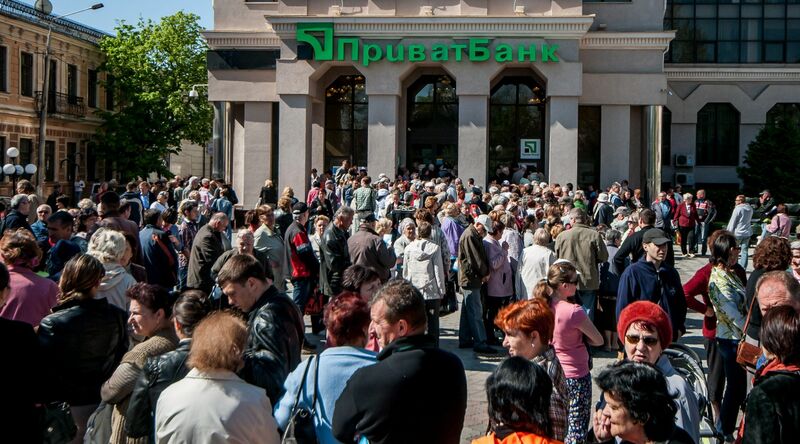 PrivatBank was one of the first banks that was blocked in Crimea. FZV (Depositor Protection Fund), the Crimean subsidiary of Russia’s bank deposit insurance fund took over the assets of PrivatBank and was compensating depositors, albeit, up to a limit of about $20,000. Russia and Ukraine signed a Bilateral Investment Treaty on 17th November, 1998 which came into force in 2000. This BIT was intended to develop the basic provisions of the Agreement On Cooperation in the Sphere of Investment Activity of December 24, 1993.
d) rights to perform commercial activity, including rights to prospecting, development and exploitation of natural resources. The investments of investors of either Contracting Party, carried out on the territory of the other Contracting Party, shall not be subject to expropriation, nationalization or other measures, equated by its consequences to expropriation (hereinafter referred to as expropriation), with the exception of cases, when such measures are not of a discriminatory nature and entail prompt, adequate and effective compensation. Another bank, Oschadbank is also planning to sue Russia for 15 billion hryvna($700 million) in compensation.